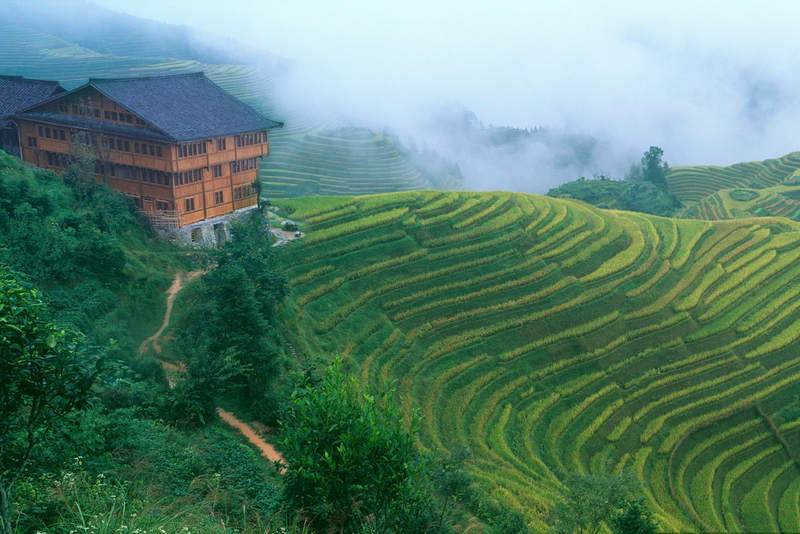 Dragonback rice terraces, Guangxi Province. Photo courtesy Lian Lodge. The insider advice on this page is from one of Wendy’s Trusted Travel Experts for China: Mei Zhang of WildChina. Sharing her homeland’s hidden gems has been Mei Zhang’s lifelong passion, interrupted only by the years she spent earning her Harvard MBA and working for McKinsey. No matter the occasion—family trip or fiftieth birthday celebration—Mei can filter the seemingly endless options for clients to craft the experience that’s just right for them. A Beijing resident who grew up in Yunnan Province and has particular knowledge of Guizhou and Szechuan provinces too, she has close relationships with hotel and restaurant owners and makes sure that her clients get the red-carpet treatment. Her guides and drivers are the best in the business, opening the doors to authentic Chinese culture and steering travelers away from the crowds, the expected, and all things touristy. Mei was also included in Perrin’s People, Wendy’s award-winning list of top travel specialists, which was published annually in Condé Nast Traveler magazine from 2000 to 2013. Travel arrangements start at $800 per day for two travelers. Home of pandas, spicy hotpot, and China’s Silicon Valley, Chengdu is now a traveler hotspot. One of our favorite boutique hotels in the city, Buddha Zen, is a real steal at less than $100 a night. The hotel is well located next to Wenshu Monastery and prides itself on immersing guests in a Buddhist environment. Even the simplest corner cafés in China serve amazing food, but one of my favorites is Ding Tai Feng, a Taiwanese chain with locations in most of China’s major cities (it also has a growing number of outlets in the U.S.). Ding Tai Feng specializes in small dumplings, but all the food is meticulously prepared (you can watch the chef in action through a glass wall) and consistently excellent. The most famous dish is tese xiaolongbao, bite-size dumplings cooked in a bamboo steamer; the chicken soup with noodles is another specialty. You have to try Peking duck in Beijing; Duck de Chine makes one of the best versions I’ve ever tasted. I also love the duck at Jingyatang Restaurant, in the basement of the Opposite House Hotel. Be sure to book both ahead of time. Temple Restaurant Beijing serves French cuisine—which might seem like a strange choice here, but the food is wonderful (the mushroom soup is a must), and it’s located in one of the most beautiful old temples in Beijing. It’s pricey, at $150 per person, but a lovely experience you’ll always remember. There is also a modern-art gallery and a James Turrell installation there; it’s worth booking the installation ahead of time. Great Wall, Beijing. Photo by William Lindesay. The Great Wall. We’ll send you with a guide who will carry a picnic lunch from a local bakery. Spread a blanket on a watchtower away from the crowds and prepare to be amazed by the views. The Tibetan-influenced region that includes Yunnan, Sichuan, and Gansu provinces. Most people don’t know that there is a huge strip of Tibetan culture in these western provinces, along with stunning scenery and rich Tibetan Buddhist history, without the hassle of dealing with occasional Chinese government bans on travel permits to Tibet. You also won’t encounter the kind of crowds here that you’ll see in Lhasa. In these western provinces, you can really get close to the culture, meeting Tibetan families and monks or even finding a place for your own spiritual retreat. 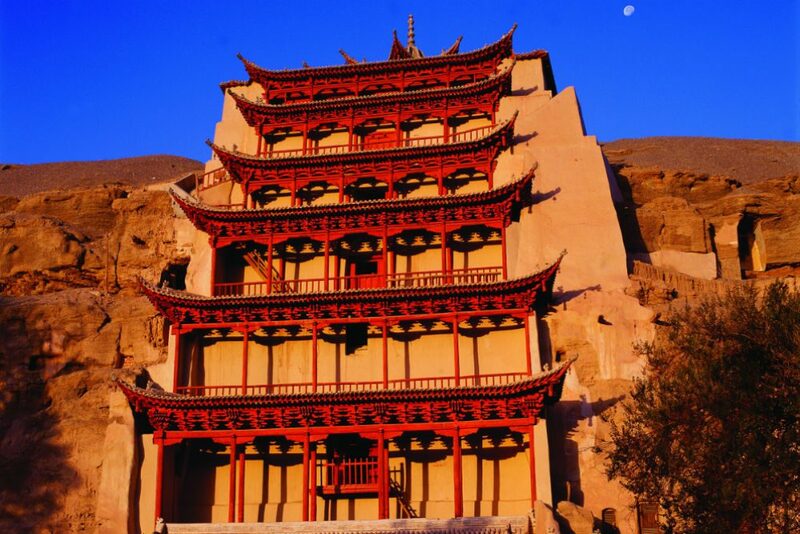 The Mogao Caves, located in the desert of northwest China along the route of the ancient Silk Road. The caves were originally a Buddhist retreat, and their spectacular paintings—which date back more than 1,200 years—are perfectly preserved due to the lack of moisture here. 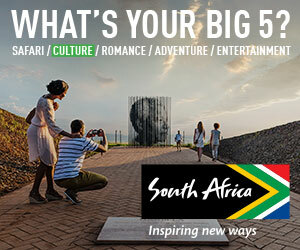 This is an amazing site and one of my top recommendations, even for first-time visitors. My travelers gain access to caves not open to the general public, with one of the leading authorities on ancient Buddhism’s visual culture as their guide. The Yangtze River cruise became popular in the 1970s when China lacked even basic accommodations and restaurants. Today, China has developed beautiful lodges in remote mountain reaches, and there are fine restaurants even in small towns. Spending even just three days with hundreds of other Western travelers over forgettable buffets is a complete waste of time when you could be sipping tea with a Bai ethnic family and learning more about their lives and culture, or staying in a luxury lodge in a remote and fascinating region. Gobi Desert Dunhuang, Silk Road, China. Photo courtesy Mei Zhang. Wudangshan, one of China’s holiest mountains. Martial artists, Taoist philosophers, and movie directors have been drawn to the sacred peaks of China’s Wudang Mountains for centuries. I can arrange exclusive access to tai chi training grounds here, where you’ll practice with a master and learn about the philosophical study of Tao. Accommodations in the Wudang Mountains are basic, but the experience more than makes up for that. 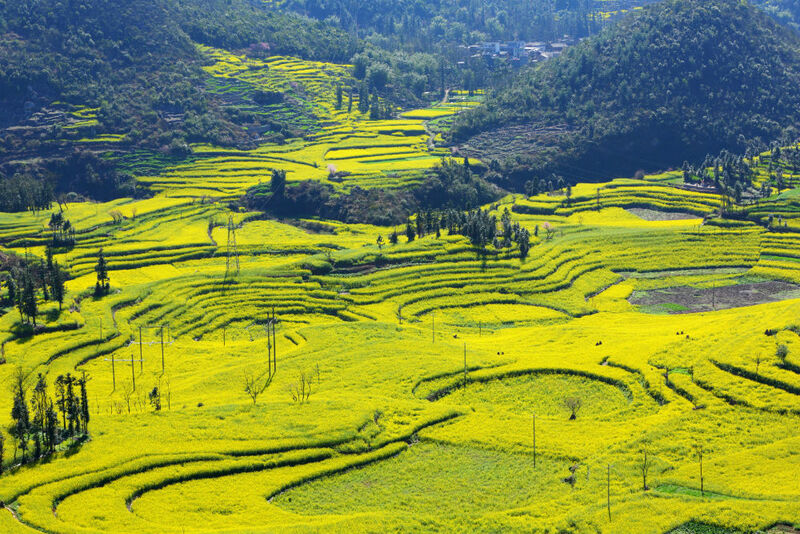 Yunnan Province is no longer a hidden gem but it’s still one of the most diverse and interesting provinces to visit. The Yangtze, Mekong, and Salween rivers cut through the province north to south, forming beautiful deep valleys and soaring peaks, and its ethnic cultures and biodiversity are among the most interesting in China. Visiting the Starbucks Roastery in Shanghai. In 2017, Starbucks opened the largest roastery and tasting house of its kind right here in China. I highly recommend going, even if it’s just to grab a cup of coffee and watch this cultural phenomenon unfold. I can also arrange a behind-the-scenes tour, which is great fun. In Guilin, Impression Liu San Jie is a daily live spectacle of music and dancing highlighting local cultures and performed in an outdoor park set against spectacular alpine scenery. The show features hundreds of performers in colorful costumes and was created by the famed movie director Zhang Yimou, who also directed the Beijing Olympic opening ceremony (getting the picture?). This one in particular shows off the fishing life on Li River, and how locals farm the terraced rice fields. It’s particularly fun when they allow a huge buffalo onto the outdoor stage. Tickets are about $30, which is very inexpensive for a show the likes of which you’ve never seen and are sure to never forget. An afternoon at the Aman Summer Palace Resort. 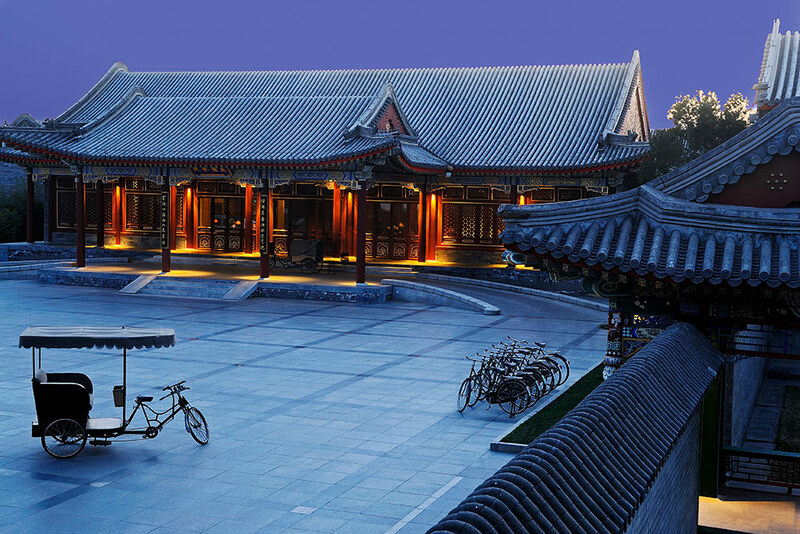 It’s connected to the Summer Palace and beautifully designed in traditional Chinese courtyard style. Rooms run from $500 to $800 a night, but for the price of an afternoon tea you can stroll the exquisite and tranquil traditional grounds and enjoy the height of Beijing elegance. Hold a baby giant panda in one of Chengdu’s panda reserves, and then track wild pandas in the hills of Sichuan. 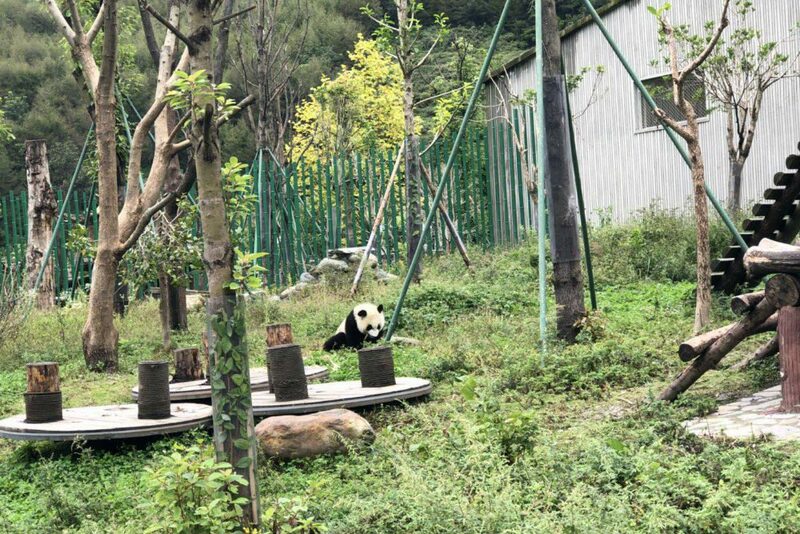 I work with a number of NGOs and government organizations in Sichuan to promote educational and sustainable panda tourism, so my travelers receive exclusive access to a panda nursery in the Wolong Nature Reserve and permits to hike in Laohegou, China’s largest land trust reserve and an important migration route for wild pandas. Spend half a day in Shanghai visiting the synagogues or the French Concession with a noted scholar. The histories of these places are rich and relatively recent and almost always overlooked. Even when they are part of a tour, they receive only cursory explanations. We can provide you with one of the few scholars who can take you on a tour that will bring the Jewish or French histories of Shanghai to life, and give you a much deeper understanding of the city and how these groups shaped it. Have a corner of the Forbidden City’s eastern garden all to yourself while sipping a glass of Champagne and nibbling some grapes in a lovely pavilion. You’ll feel like one of the emperor’s esteemed guests and enjoy a respite from the crowds and walking. This section of the Forbidden City is rarely visited by other tourists. Most people don’t even know it’s there. China is huge, of course, and has a wide array of weather patterns depending on location and elevation. But for a classic China itinerary, October is hard to beat: Skies are blue in Beijing, Shanghai, and Xi’an, and temperatures are so agreeable you won’t need heat or air-conditioning. Spring, from March to May, is also quite nice, especially with the cherry trees in bloom everywhere you look. December and January are not ideal months to see Beijing—pollution from coal-burning plants leaves it and many cities of northern China in a cloud of smog. But this is a great time for tropical Xishuangbanna, in Yunnan Province, or the beach resorts on Hainan Island. The worst times in terms of crowds are late July, August, and the Golden Week holiday during the first week of October. Chinese New Year, which moves according to the lunar phase, is another time to avoid. During these periods, it seems that every Chinese citizen is traveling, and it’s difficult to enjoy even the Forbidden City with such massive crowding. Seeing only the famous sites, such as the Great Wall and the Terra-cotta Warriors. China has so much to offer, and major cities such as Beijing, Shanghai, and Xi’an are only a slice of the entire country—and an overdeveloped, crowded, and sprawling one at that. I urge you to spend from five days to a week focusing on a lesser-known province, such as Yunnan, Sichuan, Guizhou, or Guangxi. Visit some smaller villages, enjoy the beauty of terraced rice fields, and get away from the most popular places and the wonderful diversity of the culture will come to life. The Great Wall at sunset, when the mountaintops and winding wall are bathed in a soft golden light. The Bund in Shanghai: Sure, it’s a glittering spectacle at night, but capturing the women who come to fan dance on the west side with the skyscrapers as their backdrop is a classic—and dramatic—mixture of old and new. In January, the terraced rice fields of Guangxi, Guizhou, and Yunnan provinces are flooded and intensely green. Capture them in the early morning, when they’re blanketed in thick fog, and you have a prize-winning image, guaranteed! I still love a silk qipao dress. If you are in the country for a few days, ask your concierge to recommend a local dressmaker and have one made for you in a modified style, so that when you get home it doesn’t look like a costume. Alternatively, you can pick one up at a Shanghai Tang store in Beijing or Shanghai. They sell beautiful ready-to-wear pieces—but nothing is better than custom-made. Visits to silk factories or cloisonné workshops might sound like educational opportunities, but these are nothing more than overpriced souvenir shops. If your guide insists on a bathroom break at one of these, tell him you don’t need to go. WeChat is a texting app that’s very popular in China. You’ll need it to communicate with all your guides and drivers. Although popular social media sites like Facebook and Instagram are blocked in China, there is a way to keep your family and friends updated on your China adventures: by installing a VPN (Virtual Private Network) on your device before leaving home. There are many service providers out there and they all have easy-to-use apps. There is no need to tip in restaurants or bars. Tipping in general is not part of the culture. However, tipping is expected in five-star hotels or with guides and drivers who speak English. A gratuity of $25 per day for the guide or $15 per day for the driver is standard. The airports in Beijing, Shanghai, and Hong Kong are modern, with clear signage and rail links to the city center. The taxi lines are usually long but move fairly quickly, and China’s taxi trade is very well regulated, so don’t risk being taken advantage of by one of the touts inside the airport offering to take you to your hotel. Beijing International Airport has three terminals that are far from each other, so if you’re making a connection, be certain about which terminal you’re flying into and out of and leave ample time to get between the two (and clear customs, if necessary). Similarly, Shanghai uses both Pudong and Hongqiao airports, so make sure you go to the right one! Casual outfits. China in general is very casual—even for dinners in nice restaurants. So bring more casual clothes than you think you’ll need and leave the formalwear at home.